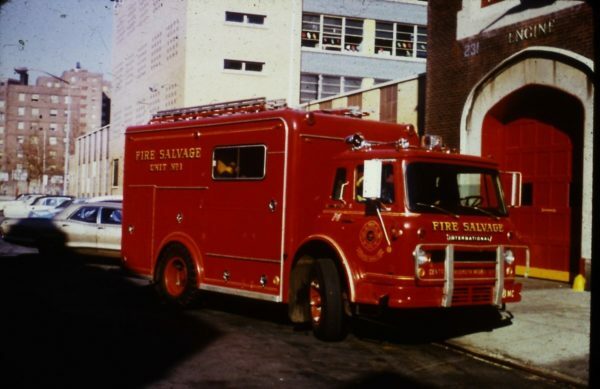 We recently came across this photo of a Fire Salvage Unit No. 1 outside of Watkins Street quarters. Any historians out there that would like to fill us in on the history of this unit let us know in the guestbook section and we can update the story. Thanks! !